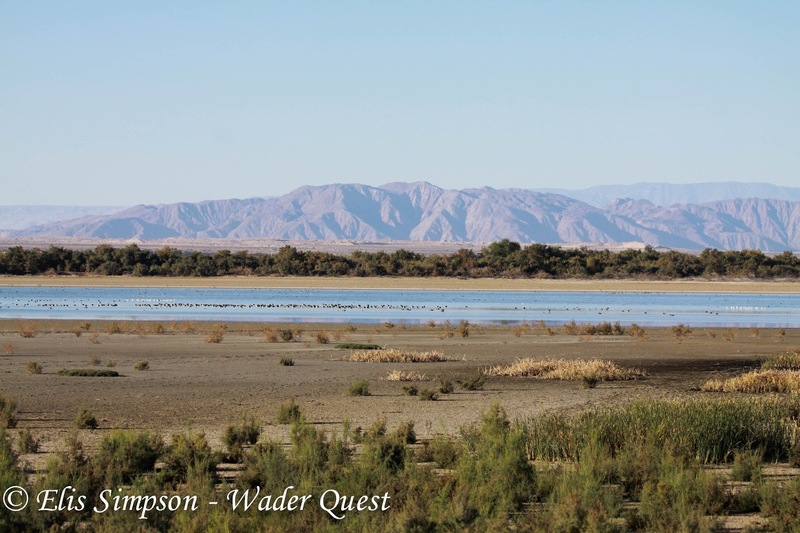 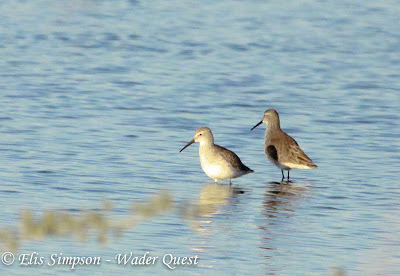 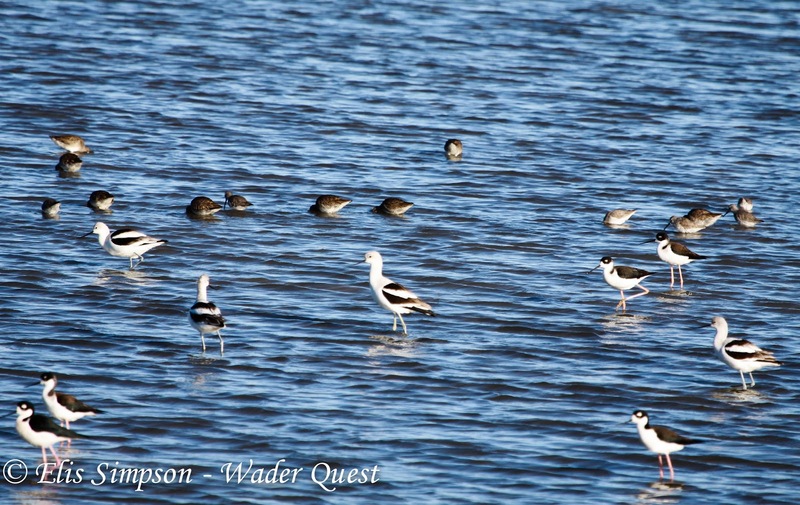 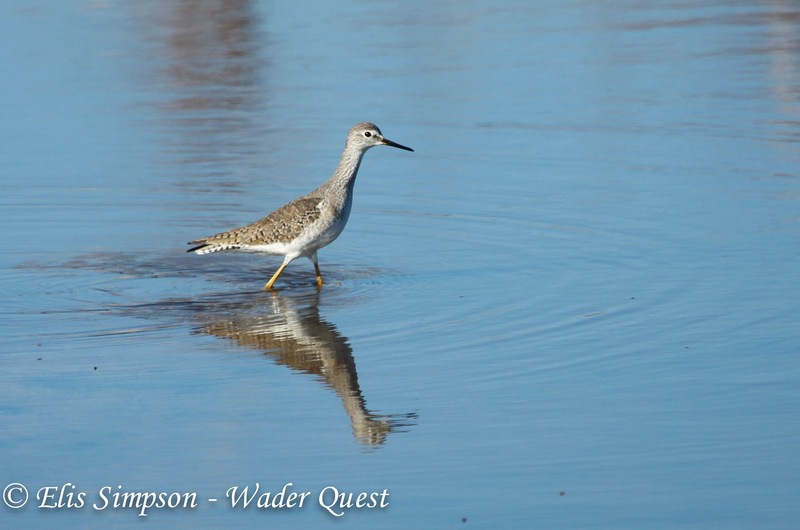 Wader Quest: Mission accomplished in USA! 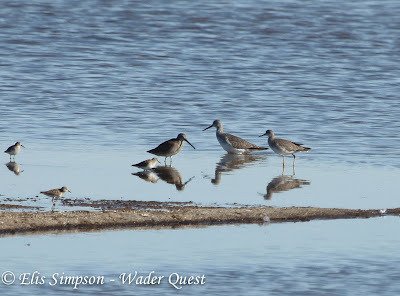 With a visit to the Salton Sea in the company of Gary Nunn and Guy McCaskie we have now seen all the possible species that we were expecting in the USA. 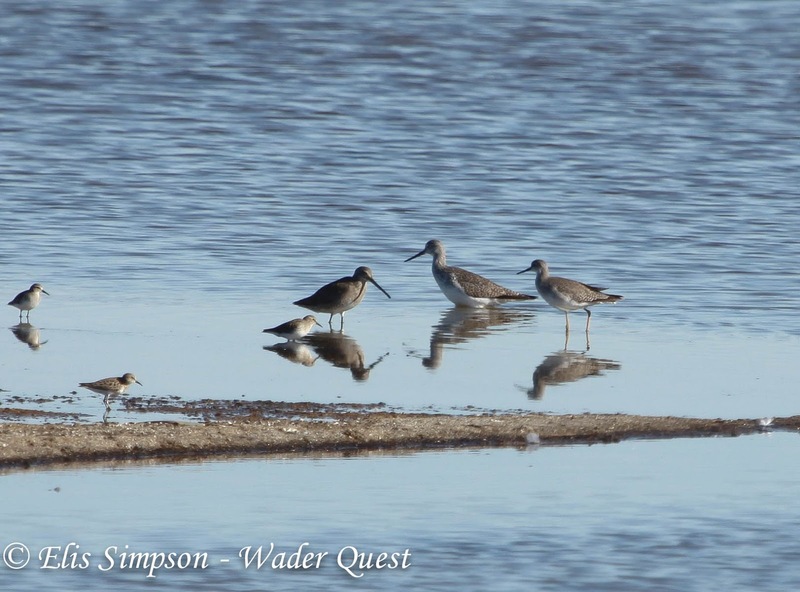 in company with Greater Yellowlegs allowing for direct comparison. 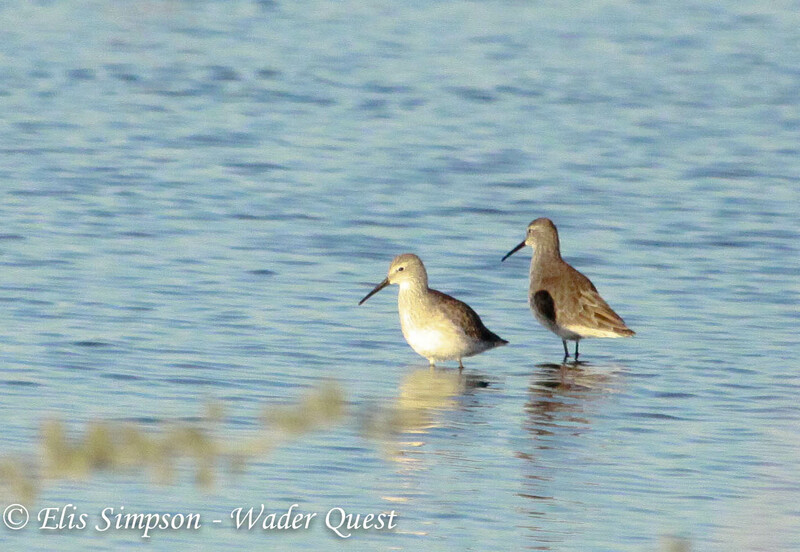 small Calidris waders, probably Western Sandpipers. 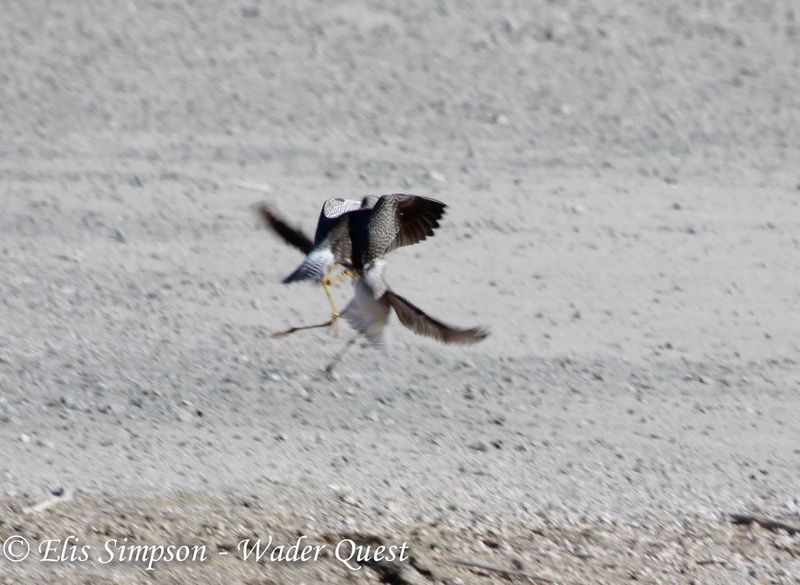 We also saw a couple of Lesser yellowlegs having a set-to. 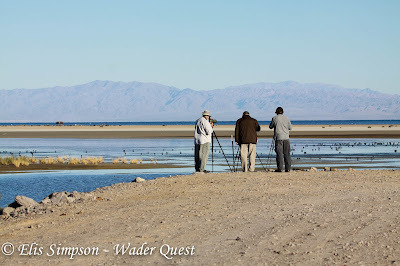 Our thanks go to Gary who drove us to the Salton Sea setting off at 03:45 in the morning and a special thank you to Guy who volunteered to go with us to help us find what we were looking for. 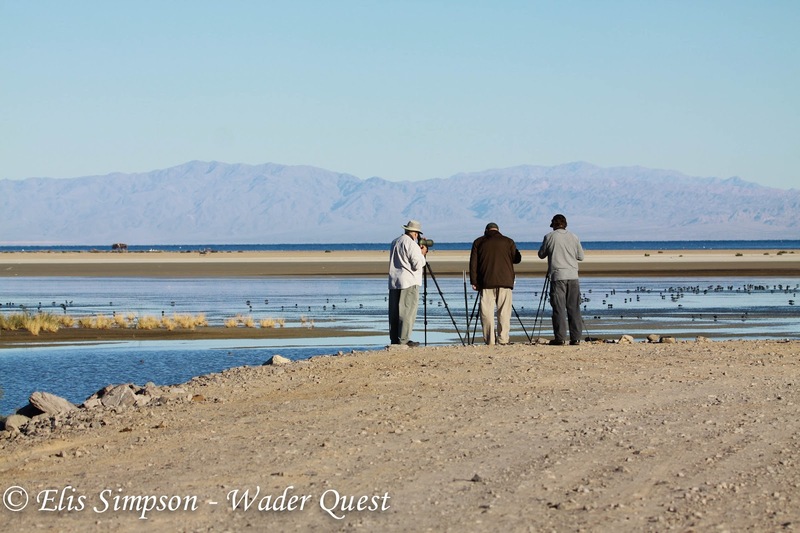 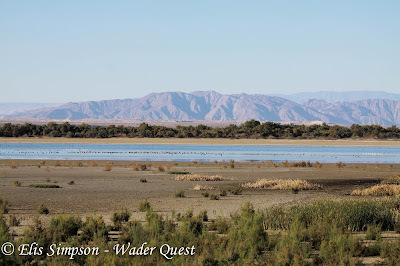 There is no-one who knows the Salton Sea and its birds better than Guy and without him we may have struggled to see all the species we did. So the Wader Quest list now stands at 80 as we prepare to leave the USA. 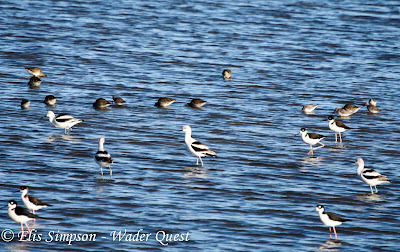 However, due to our good fortune in locating the birds we have a few days to relax, perhaps get more photographs of the local waders, do some gentle general birding and we hope to be giving a talk about Wader Quest and the Spoon-billed Sandpiper captive breeding programme to a group of local birders which includes some illustrious names in addition to Guy.